Here at the best removalists in Fremantle we offer many services to make sure your move goes to plan. We always offer the best solution to our customers both time and cost wise to ensure they get the service they desire. No job is too big or small, we cater to all job sizes and budgets. We move houses, apartments, offices and guess what we also offer a assemble and disassemble service when we are your doing your move savings you the headache of putting together that pesky storage cupboard or dismantling your bed. No fear we can do anything you require on moving day. We make all moves easy. At Fremantle’s best removal company, we understand moving can and is stressful in fact it's listed as one of the most stressful life situations so that’s why we have the best office moving removals in town. We can move your office out of hours so there is no disruption to the day how’s that for service leave work Friday and Monday you’re in your new office ready to work. Our fleet of vehicles are serviced regularly ensuring we are on the job on time every time. Ask us how today. 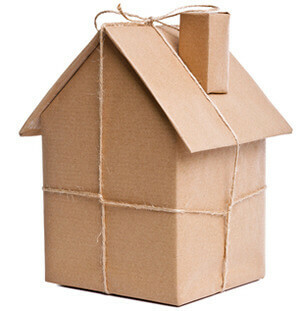 We can move all properties residential and commercial call to speak to our friendly team and secure your moving date. Whatever it is from a 1-bedroom apartment to your large two-story multi-level home we can move it with ease. Professional and fully insured we guarantee customer satisfaction with five stars. Please call us to talk about our services and what we are able to offer for your next move in Perth WA.